Over the years, we’ve watched the McDonald’s All-American game. We’ve watched Under Armour All-American games. None of that is The Opening, though. Just like the McDonald’s All-American game, there are many reasons football fans watch this event. For Alabama fans, they enjoyed watching the 2014 edition of The Opening this past week to see their future players. For Texas A&M fans, it was a hope and a dream to see a player such as Aggies’ commit Kyler Murray attempt to live up to the Manziel-ish hype, and for Nike fans, it was a chance to see each aspect of the new performance football gear. But really, The Opening has changed the game. This event, which was formed by Student Sports and the Elite 11 competition, has changed the game when it comes to portraying future college talent. 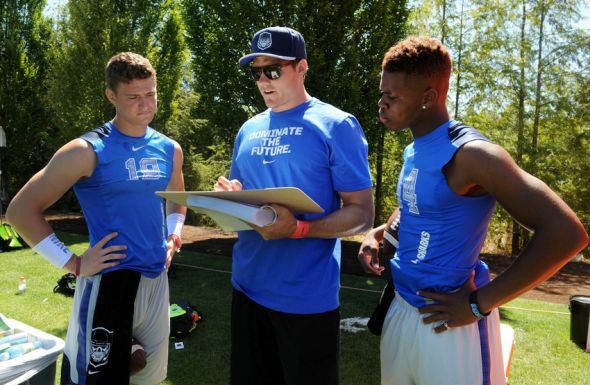 Each year, 162 players — mostly seniors — come to Beaverton, Oregon, to Nike, to compete in a plethora of drills that are technologically advanced beyond many camps’ time. Free food, a free flight to Nike’s Headquarters, it’s all included. Oh and the apparel, with the unique logo, is given to players to wear and to keep. It sounds incredible, doesn’t it? Trust me, it is. But there’s more. To end this event (which actually lasts for about a week) players are split into 6 teams. And unlike any other camp in the country, The Opening holds a 7 on 7 competition with coaches giving play to play advice, the ability for players to gel in a team setting, and the possibility to create relationships that relate to the next level. 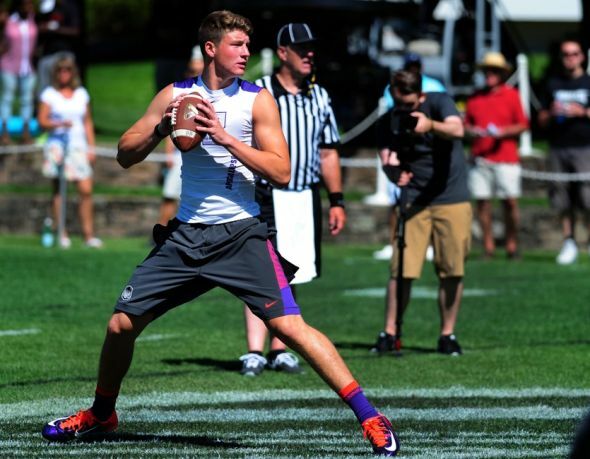 In the past, the Elite 11 (which is the quarterback specific part of The Opening) has held players such as Jameis Winston, Vince Young, Tim Tebow, and many others. It holds an alumni that boasts numerous heisman trophy winners and national champions that no other event has. And the quarterbacks are trained by ESPN NFL analyst and former NFL quarterback, Trent Dilfer. Dilfer gives these guys an NFL-type training regime. And even though he puts these guys through a rigorous course, it’s all for good reason. It makes them better, it prepares them, and it gives them a taste of what it’s like at the next level. So, sure the apparel is nice. Sure it’s one of the rare times we get to see college football’s future talent on TV. But it’s about the competition, the improvement, and the actual enhancement in learning that this camp teaches.